Ferran Corominas and Brandon Fernandes scored as Indian Super League (ISL) club FC Goal beat I-League Champions Chennai City FC 2-0 in their Hero Super Cup semifinal. Get highlights and analysis of the Chennai City FC vs FC Goa Hero Super Cup semifinal match below. Chennai City FC have a point to prove in the Hero Super Cup semifinal against FC Goa. 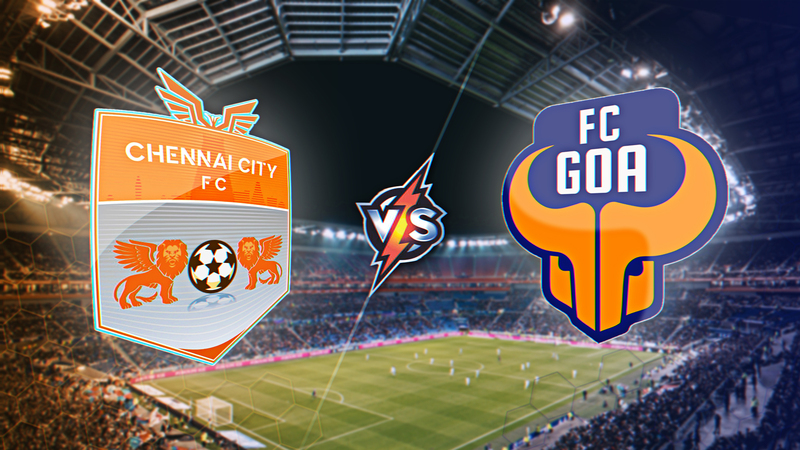 Get live updates and life football score of the Chennai City FC vs FC Goa Hero Super Cup semifinal match below. Ferran Corominas scored twice in the first half, including one from a penalty, while Brandon Fernandes rounded off the scoring in the second, to help FC Goa beat Chennai City FC 3-0 n their Hero Super Cup semifinal match in Bhubaneswar on March 9. The Indian Super League (ISL) side took firm control of the proceedings right from the start, keeping possession and attacking in waves, while Chennai struggled to get going. The famed Spanish attackers of the I-League champions, who were in prolific scoring form through the season, struggled for space right through the match. Get highlights and analysis of the Chennai City FC vs FC Goa Hero Super Cup semifinal match below. Good Evening readers. If you have been even remotely following Indian football over the past few days, you will know a couple of things have happened. Some bad. Some good. And some plain funny. Such is life. Today though has been heartening. In case you missed it, our Women team went up against Myanmar in a must win game in the Second Round Olympic Qualifier today and were held to a 3-3 draw. That knocks us out of contention for Round 3 because of goal difference. Sigh. But hold on, this is heartening. Heartening because the average age of the team that took to the field today was 21. They scored three goals and battered down the Myanmar goal in the final minutes looking for a winner, before eventually settling for a point. They got within one goal of going better than any Indian football team has in Olympics qualifier history. And they did all this despite the apathy shown towards the women game in the country today. Chennai vs Goa may be a battle for league supremacy, but consider this: the women’s game doesn’t even have a sustaining league structure in the country. There are no dedicated clubs for women, no pay, and no clear cut vision for the game either. Women football in India is the definition of ad-hoc. But hopefully, things for the women’s game are on the up. The team has already played more games this year, than they did in the last three combined. India are scheduled to host the 2020 U17 World Cup, and if the AIFF’s track record offers anything it is that they pull their socks up only when they have a date. So, they have a date. It is socks time. Just the single change from their win over Bengaluru, Michael Regin’s suspension means he misses out. Mohammad Nawaz, Seriton Fernandes, Mourtada Fall, Carlos Pena, Saviour Gama, Lenny Rodrigues, Hugo Boumous, Jackichand Singh, Zaid Krouch, Brandon Fernandes, Ferran Corominas. Goa’s in form striker Edu Bedia misses the game after picking up a suspension in their game against Jamshedpur FC. Anant Tyagi for the Win! 1’ Kick off. The referee for today’s game is MB Santosh Kumar who -- as has been extensively chronicled -- is an auto driver when he isn’t refereeing games. 3’ Goa catch Chennai City out with a cross field ball. Jackichand is in the box, and gets a shot away. A shot, a cross? A bit muddled. Mauro gathers. 4’ Chennai City haven’t got going yet. Also, this empty stadium rankles. You can literally hear the players calling each other. 7’ Coro takes nudge from Tarif on the edge of the box, but Santosh isn’t easily fooled. FC Goa with all the possession and the control overt this game. 10’ No better name than Saviour Gama in today’s lineups. Can’t wait for his last ditch, off the line clearance in the 90th minutes. We have spoken a little about this all Indian back line that CCFC field. I think after the Bengaluru game there will be no real tactical surprises for Goa tonight. It will be a long, hard evening for Gaurav Bora, Ajithkumar and the other boys. It’s like FC Goa technical director Derrick Perreira told Arjun Pandit in our soon-to-be-aired interview- the Goans only play one way. Attack, attack, attack. 11’ Chennai haven’t got going and so they are making sure that Goa don’t go either, putting enough fouls in to throw the ISL boys off. 11’ Coro threads a brilliant ball through to Seriton on the right. Seriton shoots towards the far corner, but Mauro’s fingertips keep it out. Corner to Goa. 12’ Chennai are surviving through a tricky period. Is that the plan? 13’ Ajith clears badly, and the ball falls to Zaid Krouch who catches it 20 yards out and lets fly. Mauro’s fingertips again. Goa have already had a few shots at the Chennai goal. 15’ For now, all Chennai are doing is the long ball in the hope of finding Pedro Manzi. But Goa are prepared for that and seem to have a man on him at all times.